We’re just back from another great NAB Show, the biggest annual gathering of broadcasters and their technology partners. Dozens of WideOrbiters attend each year – and 2018 was no different with a full house at our booth and a full slate of meetings at our executive suites at the Wynn Encore. Over the course of four whirlwind days, we got to catch up with clients and friends while hosting many new ones. 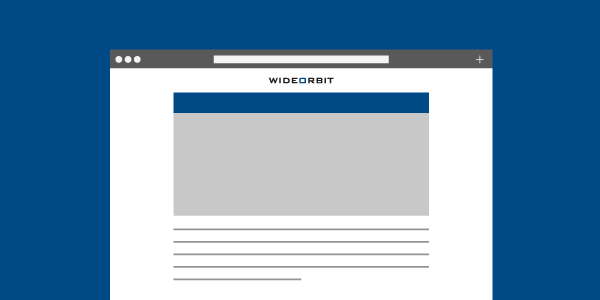 We launched two major new initiatives in the week before the Show: WO Analytics Cloud, our new business intelligence solution for sales and traffic data, and the launch of our integrations-focused team WideOrbit Platform Services. We got a great reception for both of these from both clients and the wider industry. In fact, WO Analytics Cloud was named “Best in Show” by the highly-regarded editorial team of TV Technology. Our new superhero-themed booth design was a big hit with everyone who saw it – most importantly the National Association of Broadcasters itself who nominated us for one of their ACE (Awesome Cool Exhibit) Awards. We came in second place to our well-deserving friends at Epson, but that still means we beat out big names like names like Google, Facebook, Sony, Verizon and more than 1,000 others. Not bad! You can see more photos at our Facebook album. You might also enjoy seeing the incredible coffee creations by our barrista, Jay. We held literally hundreds of meetings with clients and prospective clients. There was a lot of excitement around our progress in programmatic TV and the booth was constantly crowded with Show attendees looking for the latest developments in broadcast traffic technology, radio station automation software, and all the rest of our solutions. Three WideOrbit executives – President Bruce Roberts, Chief Revenue Officer Mike Zinsmeister and EVP, Engineering Will Offeman – had leading roles at thought leadership panels on automated TV advertising platforms and media convergence. You can read about Bruce’s participation at TVNewsCheck. Our annual cocktail party at the Wynn Encore, one of NAB Show’s signature events, was attended by more than 210 clients and prospects. It was a great first stop for many of our clients and friends before they went off into the night to enjoy many of Las Vegas’s sumptuous restaurant options. We brought in caricature artists to turn lucky partygoers into cartoon superheroes – and it was a big hit! You can see many more party photos here and the complete set of WideOrbit party superheroes here. If you were at the NAB Show and missed us this year, see where we’ll be next at our Events page. Hopefully we’ll catch you next time – we’ve already secured our booth space for 2019 and can’t wait to see you there.